Prominent & Leading Service Provider from Hyderabad, we offer acrylic table display stand, acrylic name table tops and acrylic display stand. 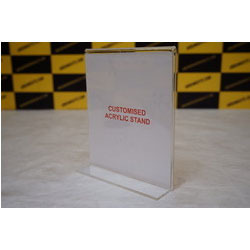 Name acrylic display stands for corporates. We use only imported acrylic only. 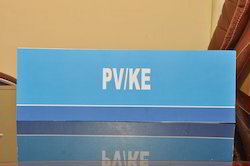 The stands are available customized sizes. 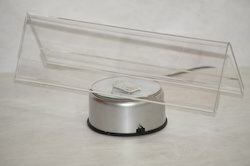 Owing to our expertise in this sphere, we are able to manufacture trade and supply an assortment of Acrylic Display Stand. Our offered display stands are processed by using top quality material and modern machines in sync to the international quality norms. The offered display stands are provided in various sizes, shapes and dimensions in a bulk quantity. Apart from this, customers can take these display stands from us at nominal rates.